Cognitive biases lie at the center of understanding human behavior. These innate, universal observations represent an individual’s deviation from expected or rational behavior. Clever marketers and packaging designers have long understood these biases and tactically design products with the intent of activating these mental short cuts in order to influence purchasing decisions. Like all human choices, purchasing decisions can be influenced by minor moments or experiences on a deeper, subconscious level. There are several key biases that impact purchasing behavior such as the Anchoring, Confirmation and Bandwagon biases. While these names may initially sound scary, they represent some of the most common cognitive biases found in decision-making. Powerful packaging designs often use multiple techniques to capitalize on cognitive biases. When it comes to selling tasty, albeit less than healthy snacks, Frito-Lay uses behavioral science to sell more bags of its famous Lay’s Potato chips. 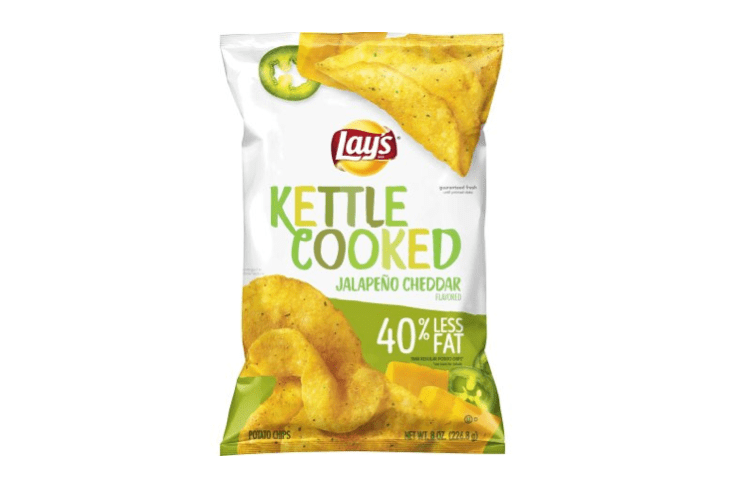 Displayed prominently on the newly redesigned package of the Kettle Cooked line is a claim that one serving of the product contains “40 percent less fat than regular potato chips.” If you look closely, you see the size differential between the “40 percent less fat” and “than regular potato chips” lines of text. An average consumer zooming through their local grocery stores’ aisles is likely to overlook the clarifying claim in preference for the lower fat content. Frito-Lay understands the space in which they sell their products. In order to make their products stand out from the competition, they use a technique called “anchoring” to provide a reference point signifying that their product is 40 percent healthier than other chips- the exact chip brand is not mentioned on the back of the product. By tapping into the mind’s anchoring bias, the brand positioned their offering as healthier than an alternative, even though the alternative product is not mentioned by name. This technique is one that is commonly used in behavioral design, and is not limited to potato chips. Claim-making in packaging design is one area that benefits from an understanding of how humans think. When people mention that they snacked on “America’s Favorite Cookie,” there is a fair probability that the brand will be recognized. If you’re a die-hard Oreo cookie fan, this slogan may sound familiar as it is often used in tandem with the Oreo and Nabisco brand logo. It is not often that consumer packaged products can be described as behavioral science masterpieces, but this product takes the cake – or cookie. Leveraging the “Bandwagon Effect,” this prominent packaging design element also capitalizes on a cognitive bias known as the “Availability Cascade.” The Bandwagon Effect refers to the natural tendency for a consumer to take action because one’s peers are doing the same thing. No one likes to feel left out. 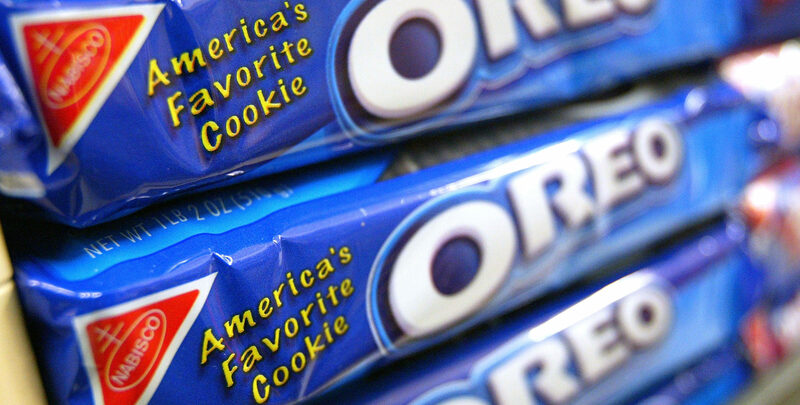 The Oreo cookie has become an American pastime and domestic shoppers who closely identify with their country feel proud to purchase a product that was chosen by their peers as a snack option deeply woven into the fabric of American meals. Purchasing any other brand would feel inferior, so the rational choice is to choose Oreos over another brand. The Bandwagon Effect is supported by another cognitive bias that influences consumer decision-making. The Availability Cascade reflects a cognitive bias in which a claim is mentioned multiple times by trusted individuals, such as friends or family, the claim will slowly become more plausible as being true because of the amount of times that it is repeated. By positioning itself with the repeated phrase “America’s Favorite Cookie,” Oreo mastered the art of tapping into the subconscious consumer mind. The repetition of these three words wield the power to recall a flood of positive memories at the time of purchase, all because of an understanding of the way humans think when making choices. Often package designers focus on the design of the product, and not necessarily on the material itself. Consider a customer who just received a batch of Thelma’s cookies. Before their taste buds even come in contact with the cookies, the customer already formed an impression based on an expectation of what the cookies taste like. 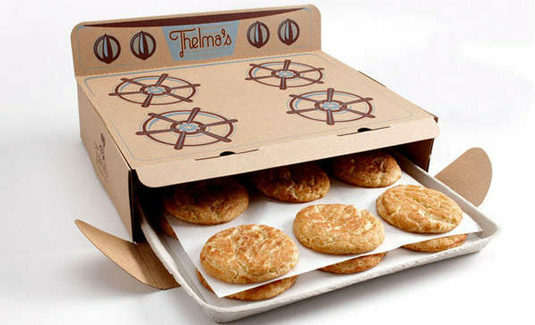 The anticipation is based on the clever design of the box in which the cookies are delivered: it looks like an oven. When someone thinks of a cookie, the mind drifts to two things: baking the cookies and eating the finished product. This inventive package design takes advantage of the box’s material and shape to tap into our internal “Confirmation Bias.” The Confirmation Bias occurs when we validate an idea or thoughts with previous experiences or memories that immediately come to mind. While the taste of the cookies remains unknown, the recipient of this package already accessed memories of baking cookies to form a judgment before tasting the goods. Imbued with a flurry of positive memories, it’s hard to avoid the belief that these products are of high quality and satisfaction before snagging a bite and the reviews online substantiates the stellar design matches the taste of the product inside. Consumer choice can be habitual or spurred depending on the package design and the many factors that influence decisions. Whether a decision to purchase is subtly influenced by a claim anchoring the nutritional value of a product below an unhealthy competitor’s or is tandem with an exclamation of “wow, that’s so cool,” package designs have the power to make a brand or product stand out from the rest. As the CPG market becomes increasingly crowded, the brands with the most impactful and memorable package designs that leverage these behavioral science principles will continue to see a growing market share and consumer devotion.